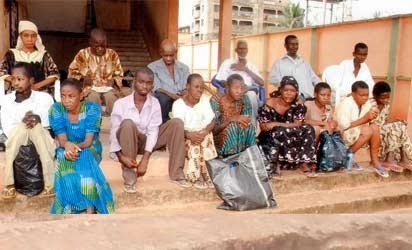 Governor Fashola apologises to Igbo's over deportation saga. Lagos State Governor, Mr. Babatunde Fashola (SAN) on Thursday offered an unreserved apology for the misunderstanding generated by the alleged deportation of some destitutes to Onitsha, Anambra State. It can be recalled that the July 24 deportation of Igbos had created an ethnic tug-of-war between many Igbo and Yoruba commentators, especially after the saga was fueled by Uzor Kalu's 'No man's land' description of Lagos, and the series of articles by Femi Fani-Kayode, who rose in defence of the Yoruba nation (all articles published on NigerianEYE) which further increased ethnic tensions in the country. The state government was accused of dumping 70 beggars at Onitsha Bridge on July 24, a situation that generated public outcry and bad blood. Fashola, who spoke at the silver jubilee of the Igbo socio-cultural think tank, Aka Ikenga held at the Nigerian Institute of International Affairs, Victoria Island, insisted he has no problems with the Igbos. He noted that the largest herds of cattle he received when his father died was from the Igbos. At the event were the Secretary to the Government of the Federation, Anyim Pius Ayim, who represented President Goodluck Jonathan; House of Representatives Deputy Speaker, Chief Emeka Ihedioha; Catholic Bishop, Mathew Kuka; former Minister, Gen. Ike Nwachukwu; President Aka Ikenga, Goddy Uwazurike; former ambassador George Obiozor and President of Ohaneze Ndigbo, Gary Enwo-Igariwey. Others included the former President Aka Ikenga, Chief Chris Asodoka; Director, Lagos Business School, Prof. Pat Utomi; Captain Emma Iheanacho; Nollywood artistes, Onyeka Onwenu and Kanayo O. Kanayo. Fashola said: “I came here to say to say thank you for the honour done to my family and the memory of my late father. “People who clearly do not understand the actions taken and words spoken are those I owe an explanation. I cannot take the Igbos for granted because we have built a relationship based on tolerance, mutual respect, love and trust. That relationship was built by our ancestors and I put a lot of value in that relationship. “I offer an unreserved apology if the actions taken had been misunderstood. “But I think the basic issue Aka Ikenga must address is why people feel compelled to immigrate from one part of the country to the other? Is it the case that some lack the resources to develop or perhaps some parts are endowed with enormous resources but not adequately managed? “How can development be so difficult from the zone that has produced people like Nnamdi Azikiwe, Alex Ekwueme, Ike Nwachukwu, among others? “As political storm gathers, there are contact spots but like in football, contact spots have rules. Those who are victims of our shortcomings as professionals in and out of government should not be pounced. Fashola called on residents in the state to embrace Residence Registration Scheme (RRS) to enable the government meets its obligation to them. Previous: Jose Mourinho appluades mikel obi's performance Next: 2015: Sacrifice your Ambition now, CAC tells jonathan.